Aside from Cabernet Franc, there was another ‘hero variety’ that shone through during my weekend in Orange. That’s hardly revelatory, but the best Orange Chardonnay present as what I think are near-perfect modern white wines, driven by texture, fruit weight and taut, occasionally blistering acidity that helps the wines live for decades. 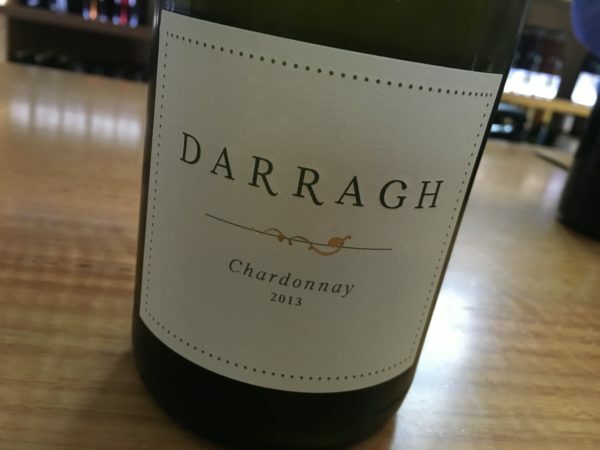 This Darragh Chardonnay stuck out amongst the impressive line of weekend wines thanks to its more wild, yeast and solids style – which isn’t all that common in acid and purity focused Orange wine. The wildness starts with a nose of yeasty, peach fruit and just a little bubblegum sulphide character. Not too much funk, but a healthy serving. Importantly, there is fruit in there too, alongside stonking, Ali It and then stonking, ‘Good Morning world’ acidity. Persistent, long and convincing, there is much to like about this Chard, with all that winemaking not killing the golden goose fruit. I’m a fan. Best drinking: 2016-2022. 18/20, 93/100. 13%, $32. Would I buy it? Absolutely. Buy it direct from darraghwines.com.au or from Ferment (The Orange Wine Centre). Agree completely with the description. Complex, serious chardonnay from a region that produces among the best. Just bought 6 on my last Orange visit.